library, historical society, or book club. Please give two months notice. Bookings are from May to October. From the back cover: "The Shawangunk Mountains of New York's Ulster County are a protected region of stunning natural beauty, with hundreds of acres under the stewardship of the Mohonk Preserve and the Minnewaska State Park Preserve. The range is "one of Earth's last great places" and a hikers' and rock climbers' paradise, but it was not always this way. 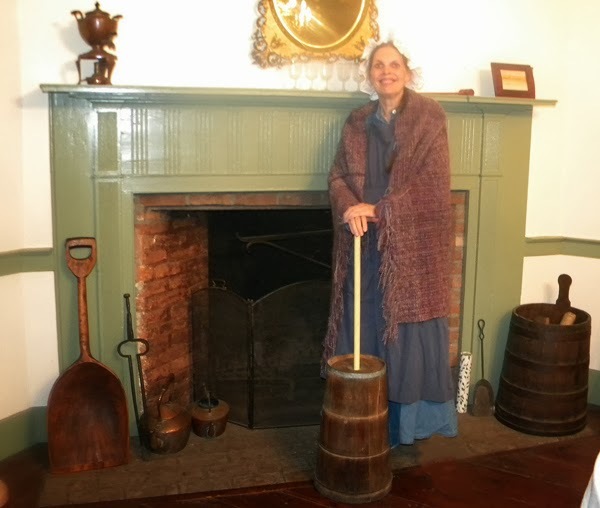 ~Read more ... Talk & Slide Show: While tensions brew between North and South during the 1850s, an idea brews in the mind of an Ulster County farmer. His idea is simple yet grand: establish a must-see destination at a remarkable lake high atop the Shawangunk Mountains. Talk & Slide Show: Author Robi Josephson presents "Hardscrabble Life in the Gunks," an illustrated talk about The Trapps, a vanished mountain hamlet of the Shawangunk Mountains. Today, the lands between Lakes Mohonk and Minnewaska are protected, but a century and more ago it was home to 250 to 300 people who scratched a living from a rocky and unforgiving land. Learn just how hardscrabble a life it was, including the story of the Enderly family who lost seven members during the Spanish flu epidemic of 1918. (off Route 32 about 3/4 mile north of Main Street on the right). 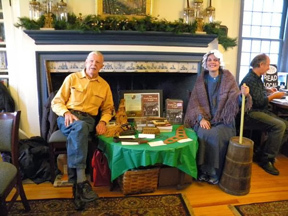 Book sales will benefit the historical society. Free. Donations appreciated. New members welcome. Refreshments. Robi's two books will be on sale, with 50% of the profits being donated to the Historical Society. Free. Refreshments. 5:00 pm, Coykendall Science Building Auditorium. Campus Parking $2/Kiosks or Street. Sales of Robi's book benefit the Museum. Sales of Robi's books benefit the Society. 845-905-8000 Programs at this retirement community are offered free to the public. Vineyard Commons, 300 Vineyard Ave.
"She was great; a real pro." Resident at The Fountains, a retirement community in Millbrook, NY, after attending Robi's Lake Mohonk program on July 15, 2015. "Thanks so much for the very lively, entertaining and informative presentation...It made for a day that was one of the highlights of our year, as was your talk last year on the Trapps." 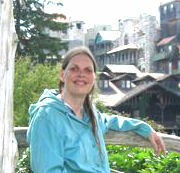 Maureen Krueger, Board of Trustees, Ulster County Historical Society, after attending Robi’s Lake Mohonk program presented at the Society’s Bevier House, Route 209, Kingston, NY, on July 12, 2015. Excerpt, John Conway’s review, Sullivan County Democrat (NY), 10/23/2015: “…the Trapps became a place of legend and folklore. Few outsiders knew of its existence, and fewer still ever visited. Some of the incredible stories that became part of the Trapps legend were true; most were not, but for decades it was almost impossible to know which were which. That all changed in 2013 when Black Dome Press published the book, An Unforgiving Land: Hardscrabble Life in the Trapps, a Vanished Shawangunk Mountain Hamlet by Robi Josephson and Bob Larsen, which is undeniably the definitive work on the history of the community.” By permission, John Conway. "I just want to say how thoroughly enjoyable your presentation was today! 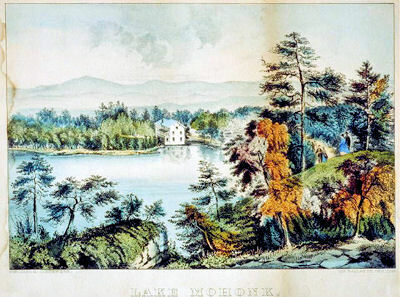 I always learn something new about Mohonk and the history of how it came about. Your slides were enjoyable!" Book launch, illustrated talk & book signing. 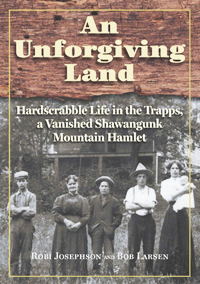 Bob Larsen, Mohonk Preserve Cultural Historian, and Robi Josephson, author and Preserve volunteer, presented their new long-awaited book, An Unforgiving Land: Hardscrabble Life in the Trapps, A Vanished Shawangunk Mountain Hamlet, published by Black Dome Press, Delmar, New York. Learn how a pioneer settlement grew during the 19th century into a bustling mountain community and how the Trapps people forged a living from a harsh and unforgiving landscape. This new book is based on Bob’s groundbreaking research and their combined 50-year odyssey, including extensive oral histories from the last generation born and raised in the Trapps. Many of the book’s illustrations and everyday items of the period will be on display. Robi and Bob will sign copies of their book, An Unforgiving Land. Book sale & book signing. Mohonk Mountain House and Preserve by Robi Josephson; and An Unforgiving Land: Hardscrabble Life in the Trapps, A Vanished Shawangunk Mountain Hamlet by Robi Josephson and Bob Larsen. See more photos-- Slide shows are now also viewable in mobile devices. 3197 Route 44/55, Gardiner, New York. Sponsored by Ulster Savings and Marshall & Sterling Enterprises, Inc. Bob Larsen, Mohonk Preserve Cultural Historian, and Robi Josephson, author and Preserve volunteer, celebrated the premiere of their long-awaited book, An Unforgiving Land: Hardscrabble Life in the Trapps, A Vanished Shawangunk Mountain Hamlet, published by Black Dome Press, Delmar, New York. 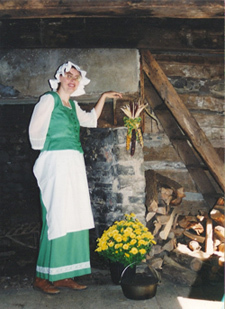 Learn how a pioneer settlement grew during the 19th century into a bustling mountain community and how the Trapps people forged a living from a harsh and unforgiving landscape. This new book is based on Bob’s groundbreaking research and their combined 50-year odyssey, including extensive oral histories from the last generation born and raised in the Trapps. Many of the book’s illustrations and everyday items of the period will be on display. 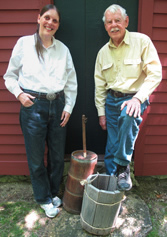 Robi and Bob signed copies of An Unforgiving Land, with sales from their book signing donated to the Mohonk Preserve. See more photos--Slide shows are now also viewable on mobile devices. Robi presented her talk and slide show, Enterprise and Courage: The Civil War Years at Lake Mohonk at the Jacob T. Walden House on Wednesday, October 16th at 7:30PM. The Jacob T. Walden House is located at 34 North Montgomery Street, Walden, New York, for the Historical Society of Walden and the Wallkill Valley. celebrated with a visit to the Lake Mohonk House of John F. Stokes."